Are you safe on the internet? Could you be safer? 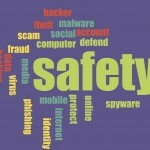 Attend an upcoming class at the Central Library to increase your awareness of the most common risks, get fluent in the lingo of internet security (e.g., phishing, malware), be able to identify online scams and frauds, and learn common-sense techniques to protect yourself and your computer. Although this class will focus on adult computer users, we will also have information for parents about protecting their children. The class will be held at the Central Library at 9:30 a.m. on Wednesday, March 9th. Please register in advance.